Which MTN Data Plan Work On MTN 4G SIM? MTN introduced 4G LTE network across Nigeria few years ago together with 4G SIM cards just like few other network providers in the country and the services is currently spreading to all nooks and cranny of the nation. You may be asking whether normal MTN data plans works on MTN 4G SIM cards or whether you can subscribe to 2G and 3G data plans and use them on 4G network. Well the answer to this question is on this post. Just read on. WHAT IS A 4G SIM CARD? 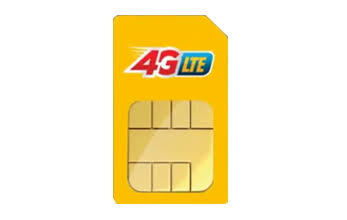 Any SIM that supports 4G LTE networks is known as a 4G SIM card. Remember, not all smartphones comes with 4G network features so if you are interested in using the services, you need to make sure you buy a 4G supported SIM. You should also know that even if you use a 4G SIM in a non supported phone, you won't still get the 4G network so both phone and SIM should support the network in order for it to work. On a GSM-based mobile network like MTN, a 4G SIM card also supports all previous GSM technologies, including 2G, 2.5G, 3G, and 3.5G networks. That means that such a 4G SIm can be used even if there is no 4G network available at a particular time. The SIM card will simply switch to whatever else is available – 2G or 3G. SO, DO NORMAL MTN PLANS WORK ON MTN 4G SIM? Remember, MTN operates 2G, 3G and 4G networks, so your 4G SIM card will work as long as it's inside a 4G phone even if you are inside a village were there is no 4G signals. Interestingly, MTN has setup their data plans such that all plans work, whether the network you have available is 2G, 3G, or 4G. Having said that, the answer to your question of whether all MTN data plans work on MTN 4G SIM is yes; normal MTN data plans will work with an MTN 4G SIM card. You have nothing to worry about. RELATED: How To Subscribe To MTN 4G Data Plan. You can buy any MTN data plan and it will work on your MTN 4G SIM. If you are within MTN 4G coverage area, you will get 4G internet. Where there is no 4G coverage but 3G is present, you will get 3G internet. If both 4G and 3G are absent at your location, you will get 2G internet. SEE ALSO: All MTN Data Plans And Subscription Codes. This is also applicable to all other networks like Airtel, 9Mobile and Glo. Go to your phone settings, click on mobile or cellular network. Select "auto" or 4G. Save and return back to your phone homescreen. If 4g is available in ur location, you will notice it appear in the network signal 📶 bar.